Two S.H.I.E.L.D. related reviews this week! 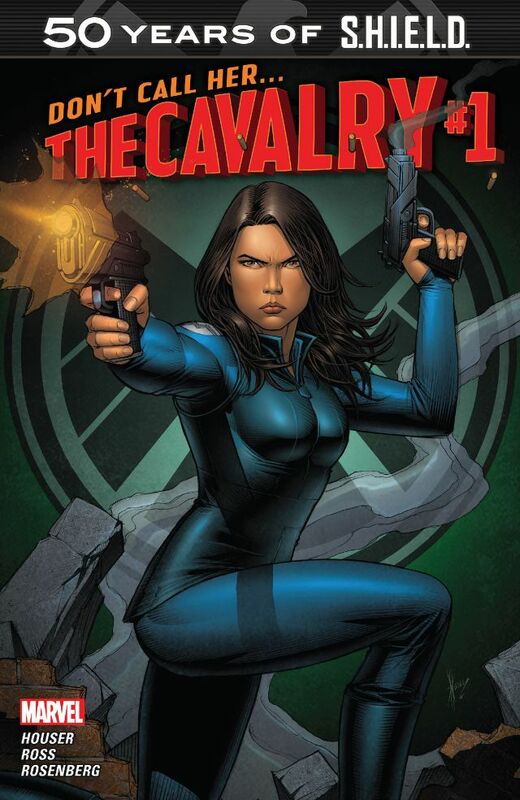 Discover the explosive secrets that are hiding in Agent May’s past! When Agent May leads a team of new recruits on a training mission, will she be able to save the day when everything goes wrong? Did someone say “cyber wolves”? Agent May and some new recruits! We’ve seen the hints in the TV series, and this is where it really crosses over to the comic series! The new recruits are on their final training evaluation on an old Hydra base and things rapidly go downhill. The build up is nice and the reaction and gossip from the trainees works very well – as does the ending session with Coulson! The threat is interesting from the Cyber Wolves and I wonder if it’s going to lead into something bigger with the main series…. 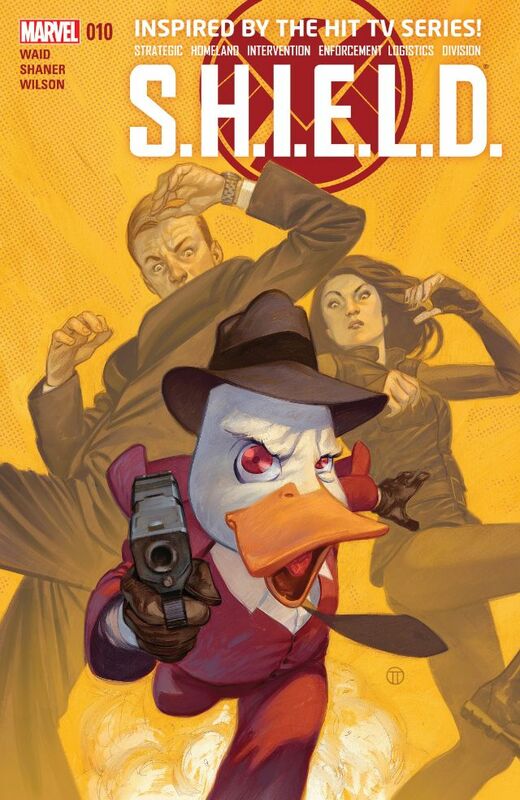 Howard the Duck side by side with S.H.I.E.L.D.! Why a duck? Because Coulson knows a secret about Howard that could save the multiverse! Another nice one shot with the S.H.I.E.L.d. team working with Howard The Duck to fix some of the problems with reality caused by Spider-Island! Yes, they referenced that!! It’s a funny issue, with the Duck Avengers making an appearance and some cross-universe planet/Duck devourers!